The PYO2LP4LSATA LP4 Molex to Dual Latching SATA power splitter cable features two Serial ATA female power connectors and one LP4 male connector - a reliable solution that enables you to power two SATA drives using a single LP4 connection to the computer power supply. 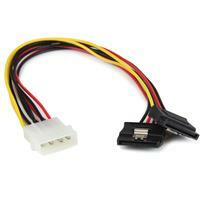 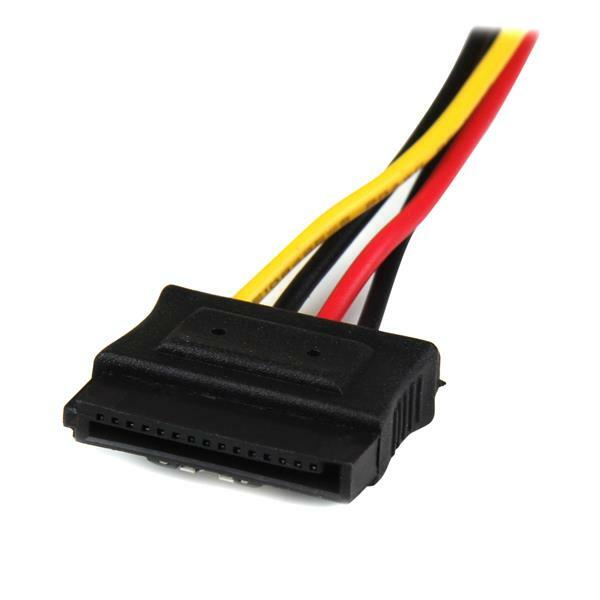 This durable LP4 to SATA Y cable adapter is 12 inches in length, giving you enough cable slack to position drives as needed within the computer case, while saving the cost and hassle of upgrading a power supply for compatibility with Serial ATA drives. 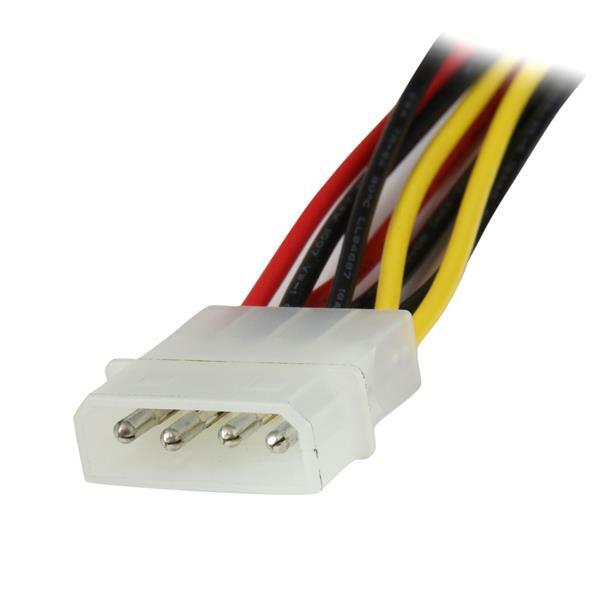 Expertly designed and constructed of top quality materials, the 4-pin Molex to SATA Splitter Power cable is backed by StarTech.com's Lifetime Warranty.